EA Sports has revealed the Madden 15 fact sheet which goes over features, news, and improvements to Madden NFL 15. 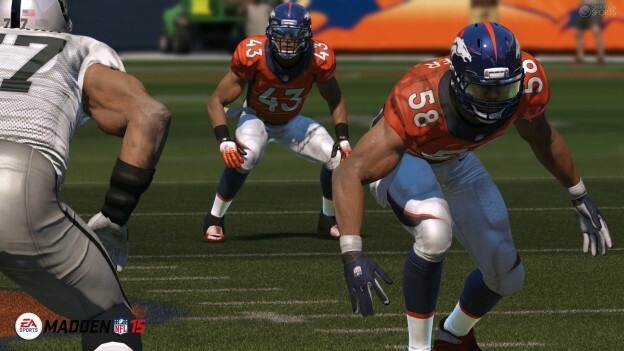 Read on to learn more about what you will see in this year’s Madden 15 game. Madden NFL 15 delivers everything fans need to own their rivals on both sides of the field, including the most immersive defensive gameplay control in franchise history. Like the Super Bowl XLVIII champion Seattle Seahawks, you can pave your way to the Lombardi Trophy by building a stout defense fit to challenge the most prolific offenses in the game. Fans will also experience an entirely new broadcast presentation that delivers Madden NFL game day like never before with dramatic all-new camera angles, as well as dynamic pre-game and halftime features. It’s not just football, it’s Madden Season. Crowd-sourced Play Call – A revolutionary recommendation engine utilizes data from millions of online games to surface the best selection of plays possible for the match-up and situation. Sort from traditional sets and formations, to expert recommendations, to what’s working the best in the Madden NFL community.